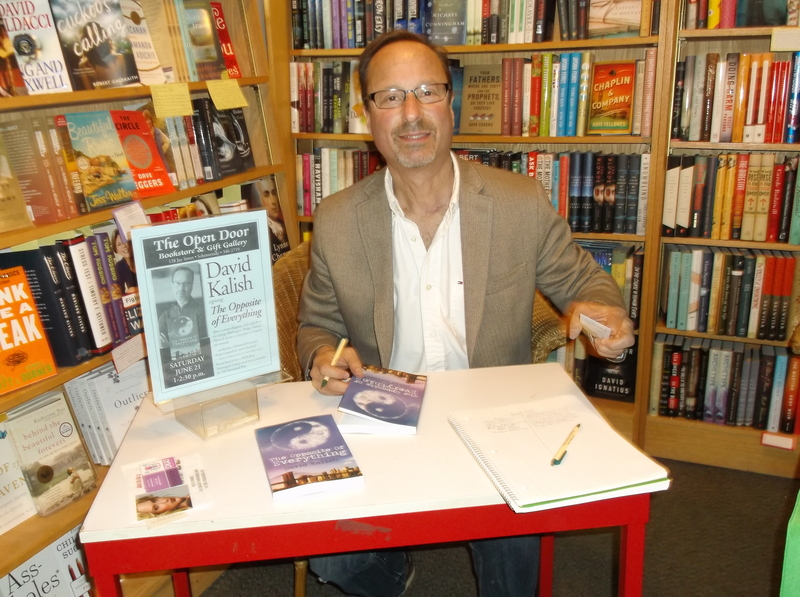 I am grateful for the opportunity to have interviewed David Kalish after his recent reading at The Open Door Bookstore, in Schenectady, NY. Here, he shares his insights on writing fiction from real life, using humor effectively, his path to publication, and his current projects. SMP: Your novel, The Opposite of Everything, is based loosely on your struggle with health and marital problems. Tell us about your process for writing a fictional story from real life, and the challenges this presented. DK: The first thing I did was write what actually happened to me. Then I went through it to see what would stand muster from a fictional standpoint. I searched for a theme line that would tie the story together dramatically. I looked at what to add and what to take away, and how to fictionalize the characters. I think the challenge really was in discarding stuff that was important to me, because you grow attached to events in your life that have nothing to do with fiction. Story-telling is very different than real life. It’s a lesson I learned over a very long period of time as my novel came closer to publication, from many different editors and many different creative writing groups. The message starts to sink in after awhile: treat it like fiction. On the other hand, I found myself returning to the facts of the case for the emotional truth. So I looked into my memory to figure out, “What was I feeling in that point in time?” Sometimes you’re reading, and you’re thinking up something, but you’re not sure how the character reacts, or how they feel. Fortunately, I had my real life to turn to. I would think, ok, what was I doing in that instance? Well, I was actually not doing anything. I was kind of wooden. Well, why was I wooden? If I didn’t have enough information to come to a conclusion, then, what would I have done in that situation? I would have told a joke, or maybe I would have done something totally different. Maybe I would have riffed in a bizarre way, so that became the basis for my character’s reaction. But then, as the narrator, stepping above the fray, I had to pull it together for the reader. I try to ask, what was that little milestone in the character’s emotional journey? What’s the context for that and how does that fit into his challenge, his renewal, his treatment, his finding new love, and all the major themes that go through the novel? SMP: You weave a story of life-threatening illness and loss, consistently laced with brilliantly crafted humor. Does humor come easily to you, or is this a quality that you work on to develop in your writing? What advice would you give writers to infuse humor in writing? DK: It always kind of came to me spontaneously. I always had a bit of the clown in me, even when I was a little kid. I think part of it was just wanting attention, and trying to be dramatic. But when you’re dealing with writing, it’s different because you have to communicate it effectively and get out of the way so the reader has a chance to get the joke and laugh on their own. You don’t want to be too direct. One thing I discovered in writing this novel, as you mentioned, there are very serious underlying themes. So the danger for me, because I have this comic urge, is that the humor would be gratuitous, like a joke just thrown in, and readers red-flag that. They know, they’re like, ok, what does that have to do with the story? Or, this guy is just showing himself to be offensive. So it came to me over time that the humor should reveal something about the story or the character that’s important to the story, or reveal something about the coping mechanism of the character. I use that benchmark to decide what to discard and not discard. As you discover your story, as you go through it, that becomes the yardstick for the humor. SMP: How did you turn people in your real life into characters in your novel? DK: I made the decision to ficitonalize my characters because early versions of my book didn’t work for me as a writer. My characters felt like stick figures. Deep down, I felt uncomfortable starring in a book that featured me. I decided to create some narrative distance. I tried humor. I made my characters do things their real-life counterparts wouldn’t consider. I told the story in third-person. I replaced real names with offbeat ones. I stretched truths for dramatic effect. This, in turn, made me feel freer to express myself emotionally. SMP: How long did it take to write this novel? DK: I started writing bits and pieces of it 13 years ago and showing it around. In terms of turning it into a full sized book, that did not happen until probably my first draft of the memoir version, probably in 2004, and that didn’t go anywhere. In subsequent years my novel went through maybe 75 revisions, and close to a hundred rejections by literary agents. As time passed, the rejections became a little nicer, a little more detailed. I took heart in that, and then finally I sent it to small publishers that don’t require agents, and started to get some responses and one finally one accepted it. So, yeah, long process, stick with it, you have to be passionate, almost obsessed about it. SMP: This is your first novel, and you are also a playwright and screenwriter. Do you have plans to adapt this novel for the stage or screen? DK: I’m about half way through converting the novel into a screenplay. I did write a short film six years ago that was produced locally in Saratoga, so I know something about writing screenplays. That film picked up a couple of honors in this film festival that we entered. It was actually adapted from what turned into a chapter of my novel. That’s not my only project. I’m in the middle of revising my script for The Gringo Who Stole Christmas, a musical comedy that will be performed at Proctors in December, as well as revising my second novel. Those are the two projects I need to finish first, and then I’ll get back to finishing converting this screenplay. It’s my order of things. SMP: Can you tell more about your current project, The Gringo Who Stole Christmas? DK: Yes, The Gringo Who Stole Christmas is very interesting for me because it’s a collaborative process. Unlike my process for writing my novel, it’s not just me sitting behind a computer like a hermit, struggling on my own, in this kind of vacuum. It’s putting your work out there, having actors, “real life characters” utter your lines, and getting feedback from them. Because they’re asked to put their heart and soul into your characters, they’re good people to get feedback from. After our rehearsals, we talk about what works, what doesn’t, and so in that sense, it’s a whole different ball game.The Gringo Who Stole Christmas is also in the middle of a fund raising campaign. We’re booked at Proctor’s for eight performances in December, and hopefully your readers will hear more about it. We have all sorts of great events coming up. We’re holding a wine-and-cheese benefit on Thursday, July 24, 6 to 9 p.m., at the Arts Center of the Capital Region in Troy (265 River Street). Local wineries and cheese makers will be presenting their products, and proceeds benefit The Gringo Who Stole Christmas. Tickets are $35 in advance, $40 at the door; for more information, contact dekalish@gmail.com. Thank you for the post! 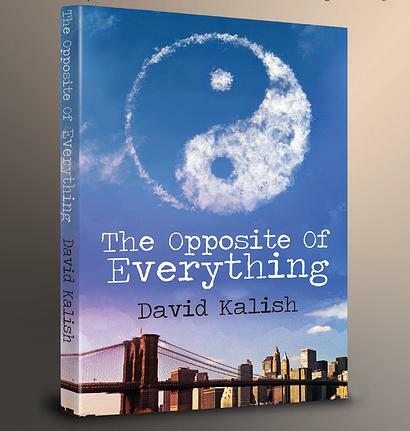 I really enjoyed reading it and I am looking forward to reading The Opposite of Everything! Thanks Lynn! We’re so glad you enjoyed the post. Please come back and visit again! Very nice post! I’m glad I was able to get by to check it out! So glad you enjoyed it! Please come back again. I do like this interview very much. Thanks for publishing it. And I figure I do have a new title to add to my pile.